One thing that I couldn't live without when it comes to make-up would be bronzer! I love it!!! And I really do think that it makes a huge difference in how you look! Also, who doesn't love to look tan?! There are tons of bronzers out there so I decided to tell y'all about my favorite ones that they sell at Sephora! I'm going to start with Hoola from Benefit! This is one that I am currently using and totally loving! Its a matte bronzer which is my favorite kind! This bronzer seriously is amazing! It gives you such a great glow and tan look! It also is great in blending in. And this little box seriously lasts forever and you wouldn't think so but it does! 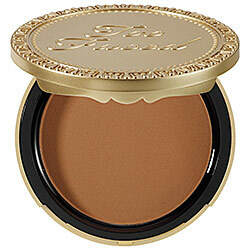 Another Matte bronzer that I totally love is Too Faced Chocolate Soleil Matte Bronzing Powder! This is another bronzer that works great and is a matte bronzing powder that won't give you any shimmer if you don't like that! 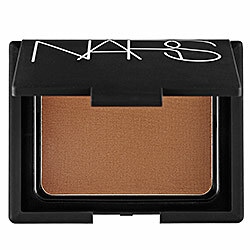 If you like bronzers that give some shimmer then you will love the Nars Laguna Bronzing Powder! I really love this one but since I'm not a huge fan of the shimmer I don't wear it too often but its such a great bronzer and is rated one of the bests at Sephora! I hope this gives you some good ideas of what bronzers to use in the future! All three are amazing and give you such a great tan finish to your look!